Drug delivery systems especially stimulus-responsive ones play an important role in medicinal chemistry because most of the cancer drugs have various side effects. In the present research, amine groups bonded to β-cyclodextrin (βCD) were used as a pH-sensitive cap for the cavities of magnetic mesoporous silica nanoparticles. In order to insert βCD cap on the cavities of magnetic mesoporous silica nanoparticles, a host which makes host–guest interaction with βCD was needed. Ethylene diamine chain was used as a host for βCD. Doxorubicin was loaded on Fe3O4@mSiO2@NH2 nanoparticles and then functionalized by βCD. In acidic media, the nitrogens of amine groups were protonated and the repellence among the chains gave rise to more and controlled drug release while in neutral media βCD all of the nitrogens had positive charge and these positive charges gave rise to repellence among chains. These interactions caused to open the chains, and βCD was released which in turn gave rise to the delivery of DOX. The amount of DOX loaded on the Fe3O4@mSiO2@NH2 nanoparticles surface was estimated by thermal gravimetric analysis. The results of drug delivery experiments were interesting which were investigated by ultraviolet–visible spectroscopy. To obtain the hydrodynamic diameter of Fe3O4@mSiO2@βCD, dynamic light scattering technique was used. Furthermore, the cytotoxicity of Fe3O4@mSiO2@βCD was also investigated. 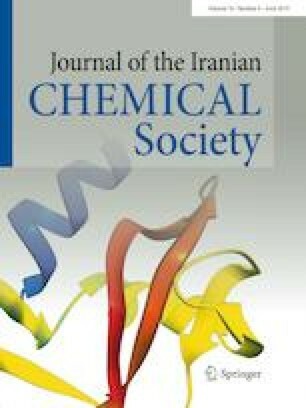 The authors gratefully acknowledge partial support from Research Council of Payame Noor University, Tehran 19395–3697, Iran.